Logicserve Digital, a digital marketing company and the Indian arm of Logicserve Group, has appointed Sandesh Sathyanarayana as AVP – Business Alliances to lead the business in Southern India. Sandesh will work on expanding the company’s business portfolio and help strategize business models to service the existing as well as new clients. Also Read: #BrandSaga: Fevicol – Iss Jod ka koi Tod nahi, LITERALLY! 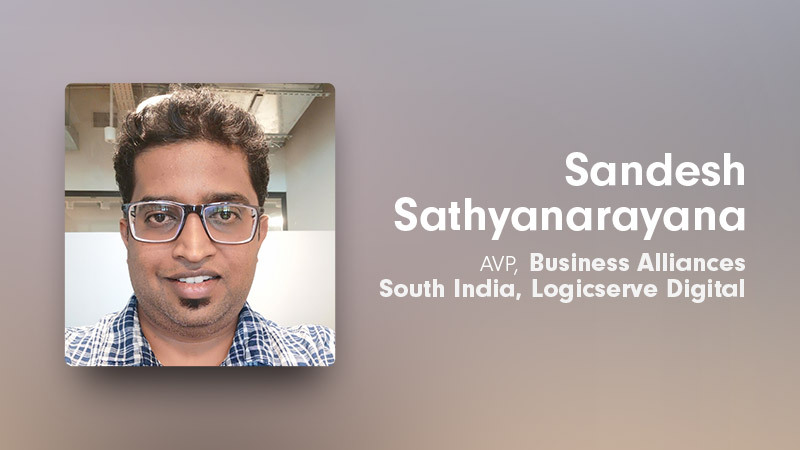 A veteran in the marketing industry, Sandesh brings over 10 years of strong experience across technology, brand and agency side serving multiple facets of digital marketing. Prior to joining Logicserve Digital, Sandesh has worked with brands like Google India, Indian Overseas Bank, Ample technologies, amongst others. He has shaped digital marketing strategies of global brands across various industries. He has a great hold on Marketing Technology, Digital Transformation & Digital media.